In this science fiction satire of westerns, after the American West was destroyed in a series of biological disasters, rebuilding it is a lot like building it in the first place, but there are crucial differences. For example, new, partly mechanical cattle with computer brains are called steerites. They speak and sing a lot more than the original steers. Most of the cowboys, outlaws, and lawmen are partly mechanical, too, except for those few humans called control-naturals. That group has to keep all their original equipment, just like the original cowboys. When a tragic fire takes the lives of her mother and grandmother, Danielle Lyndon is left alone with a 200-year-old bookstore in Greenville, Alabama. Facing what seems like an eternity of loneliness and abandonment, her life is inexorably altered late one night when a runaway teenage girl breaks into her store and Danielle receives a mysterious text message…from her dead mother. 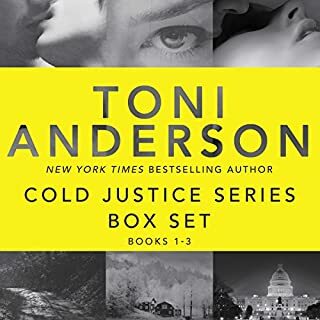 The only person who can help her is Aaron Donnell, a reckless, tormented drifter with haunting silver-blue eyes who is searching for the burglar, his younger sister. Aaron somehow holds the answers to the mysterious texts, but he’s arrogant, dangerous, and is clearly no good for her. The problem is...she’s falling in love with him. Consumed with Aaron’s mysterious darkness and the prospect of locating the source of the texts, Danielle allows him to unwittingly drag her into an insane, mystical world where human trafficking is the usual, black magic reigns supreme, and inhuman power lasts forever. So the narrator Amanda does a really great job with this book! In fact the reason I was able to get all the way through would be mainly in part due to the narrator. The only voice I did not like was the British student. It sounded too airy. I would have also liked her to be a bit more deep with the male voices, but I think she did such an excellent job with the southern accents! And the production is good too. No weird pauses or trouble hearing. I give the narration a 4.5/5 stars. As for the story. It was hard on me. I was instantly very intrigued about the books and about our main character’s family and backstory. Yet we got no backstory. It just starts in the middle and continues on. We get 1-2 sentences of backstory really with knowing there was a fire and it left her mom and grandma dead or maybe not her mom? And we know she used to be a college student but left to go mind the store. The mystery surrounding this family and the books really hooked me in, I just wish the author had done a better job of following through. What I had issues with were how fast paced everything was and there was no real direction things seemed to be going in. It was like: ok we did this now, so we should go here next…Also why does she distrust men so much? Her father died and didn’t leave her like I thought, so I don’t get the issue with men thing at all. And I’m concerned she’s hearing voices from the walls in her bookstore/house telling her not to trust men. And the rules for the books are so extremely vague I don’t understand how she even knows what to do and what not to do with them. There are minor things that confused and frustrated me such as when she asks Aaron if he’s from around here when in the sentence before he said he was from out of town looking for his sister and also does not share a southern accent, so it should have been obvious…and no matter how many times this guy says he doesn’t want the books she keeps asking him to stay away from her because he wants the books. Like if you don’t trust him don’t get in a car with him and go all over town! Call the police on him! So for me this really falls between 3-3.5/5 stars. I wavered so much in what I felt reading so I don’t know my final verdict yet. The story behind everything is so fascinating I want to know more about the books and our main character. It’s andhame this doesn’t happen. And I would have been fine with the romance if it hadn’t come out of nowhere. But again it’s well written, it just needs tweaks with these things for me to personally love it more. It’s possible someone else would feel differently. So I do recommend checking it out! SOUL OF STONE is the first book in the Ice and Stone series. They will need to be read in the order of release. Of course, now knowing the ending is coloring my perceptions of the beginning. Now I understand why. Now I know how and who. Oh, but the path to get there is heart wrenching, twisted, and magical – so magical. The plot was imaginative and wonderfully unique. I wanted to embrace Aaron, Danielle, Jessa, and Piper so many times. The story was action-packed and the mystery was well written. It kept me guessing nearly to the end. I loved the interaction between Aaron and Danielle. Their sweetly denied romance is the reason I want the next book in this series. Narration (3 CROWNS): Amanda Stribling is a good narrator. She speaks very clearly and has a very nice voice, but tends to get a little too rhythmic in her cold reading. 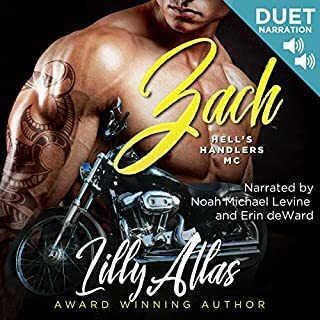 Note: While I received this book as a gifted audiobook copy via Audiobookworm Promotions, my opinions are my own and are given freely. Magic here has a price and a reward . . . Deeper meanings are laying just below the surface but sufficient evidence provides you with that string and the line to follow all the way to the end of the what lies on the surface. Someone had decided to take girls. The question becomes where, why, and who. To solve this mystery we are taken on a suspense filled ride of magic and much more than meet the eyes. Danielle and Aaron find that they are pulled in to a world they have no real knowledge of but they also find that they have the skills/weapons to face what appears before them. The characters presented here were rich with depth and substance. The plot and sub-plot held focus on the mystery, adventure, and the twist and turns gave a good story all the way through. There was closure in a sense to the sub-plot but the overall or underlying plotline left you with a cliffhanger. But this in no way took away from the richness of the story. You get an excellent story and wanting more just added and additional layer. 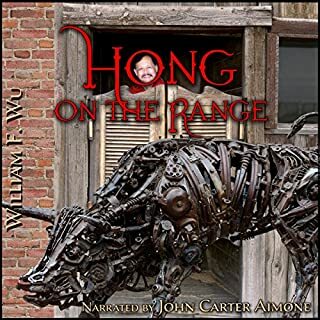 Narrator Amanda Stribling did the job of keeping me well captivated and entranced. The audio was clear and clean of hiccups and background noises. This was the type of audio that you took the time to listen to at normal or as close to normal speed as possible. You don't want to miss a thing. The feel of Amanda' voice give you more to enjoy. You almost feel like you are seeing things unfold right before your eyes. 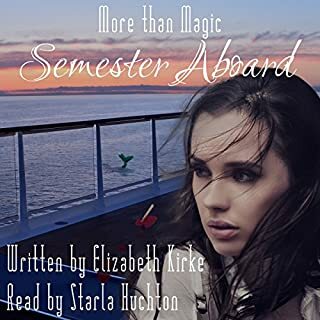 Magic, A hot Hunk and Books what esle do you need? We are introduced to Danielle who runs the Bookshop Salem’s Stop. Danielle’s family has run the shop for 200 years. Always handed down the female line. Danielle is very lonely after her grandmother and mother died in a fire at the shop. One night a young teenage girl breaks into the shop, Danielle confronted the girl as she runs out the broken window. The next day a handsome hunk called Aaron comes in to ask about his sister. Aaron leads Danielle into a magical world she didn’t know existed. Someone is kidnapping young girls, and no one can find them. This is a compulsive listen they kept me glued to my earplugs. This is book one in what is going to be a terrific series as Aaron and Danielle realise what powers they both discover themselves. What they discover is nothing they could have ever imagined. This is book one in a series, but the girl saga is finished at the end of the book, but the wider story I hope will follow on in book two. I don’t want to spoil the story, but this a wonderful magical beginning and can’t wait for more stories in the next book. Also I was jealous of Danielle having access to all those old books. A Magical Bookshop - What's not to Love?! OK. So. I HAD to get on this tour for a few reasons - it's set in a 200 year old bookshop and that shop is called Salem Secrets. As you may have worked out by now, I am not the biggest fan of romance books but when the main story takes place in a bookstore that specialises in magical books, I am IN! With her mother dead but managing to send her text messages, a burglar breaking into her shop, Danielle embarks on a journey with Aaron to find his little sister. Magic, history and adventure all make for a fantastic story and one I really enjoyed! First I want to mention the narrator - I love her accent! As a Brit there are certain American accents that I love and ones like Amanda's pretty much top the list. The slight southern lilt and the wonderful way she says "Y'all" is just lovely! The storyline is exciting and fast-paced and as it is the first in a series, you will be unsurprised to know it ends on a bit of a cliffhanger which just leaves you wanting more .. and more! It vaguely reminded me of "A Discovery of Witches" .. only slightly though - it's a different story and different book but it definitely has undertones similar to it - which means if you loved that book as much as I did (and can't wait for the TV Show coming soon!) then you will love this one too! 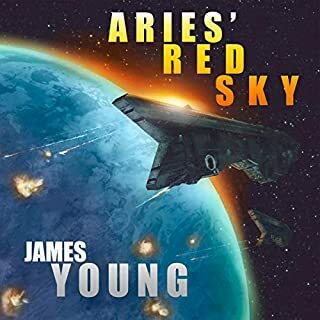 I am really grateful to the author and Jess for offering me a free book in return for my honest review and am on tenterhooks waiting for the next book in the series! This really was a good book I just had a few problems with. When the book first start it went right into the story which is fine if you are further into the series then book 1. I prefer to know a bit of background when I start out. I would of liked to have known about the bookstore and its history, as well as an introduction to the main character Danielle and her family. I had to pick up pieces along the way. That is just my preferences, so you may like not knowing what is going on. To it just felt like the book took off already in the middle. I don't mind a cliffhanger ending but when it is what seems to me as a major cliffhanger I tend to decide to skip the rest of the series, especially a new series as now I have to wait an indeterminate amount of time before I get to see how it turns out. I am a avid reader and do not always remember to keep an eye on a series. Yes there are some Authors and series that jump out and I am constantly looking for the next book, this sadly was not one of those series for me. With that all being said the book was actually pretty. 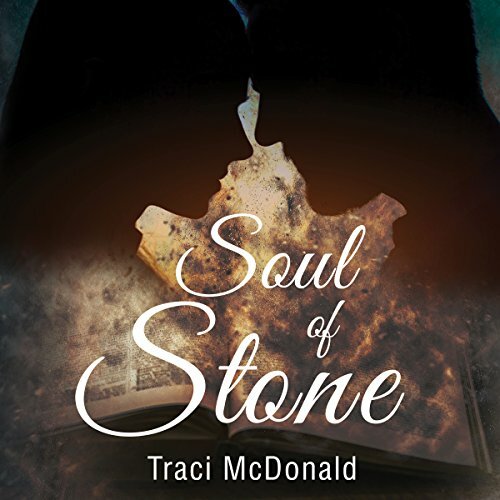 The blurb and story line for Soul of Stone sounded very intriguing, so I am not unhappy that I chose to review this book. The book features a sweet romance, a lot of mystery, some paranormal, and a thriller aspect. The book is very fast paced, but does not bounce around to the point of being distracting. Danielle meets Aaron when he comes looking for his sister who is after one of the books in Danielle's store. The books are ancient texts from all over the world and the bookstore is more or less a safe house for the books. Aaron is too late as his sister has already broken into the store and was run off by Danielle and her stapler (read the book to find out what this means). Danielle decides to help Aaron find his sister and is brought into a world of human trafficking and black magic. The more the 2 try to unfold the mystery of his missing sister the closer the 2 become. 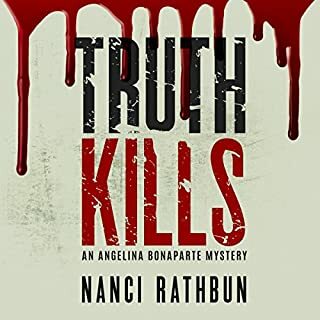 Amanda Stribling narrates the audiobook and I really enjoyed listening to her. She has what I believe to be a true southern accent, this book takes place in Greenville Alabama, the deep southern twang was spot on.